In a state that experiences an average of no more than 3 inches of rain a year, you would think outdoor activities would prevail. When the sun offers a temperature of over 100 degrees, though, most people are inclined to find shelter in the slew air conditioned buildings along the Las Vegas Strip. Unfortunately, these people that hunker in doors to avoid the desert sun don't know what they're missing. 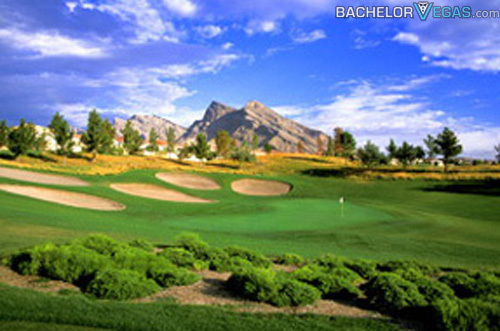 Built in 1989, Palm Valley Golf Course continues to Offer up Summerlin, NV's longest and most challenging golf experience. Rolling fairways are lined with rows of pine trees, giving the allure of being amidst a green paradise. 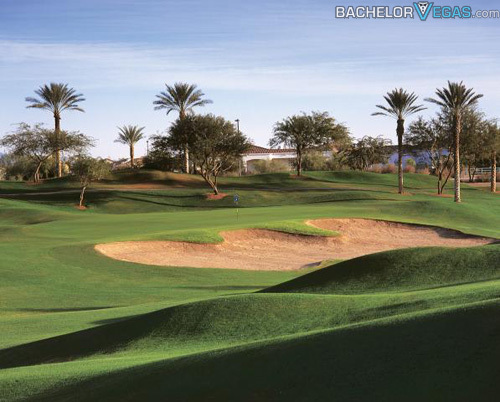 Measured at a total 6,580 yards long in total, Palm Valley's first and eighteenth holes are the longest of the course, squaring in around 537 and 534 yards respectively. With a rating of 71.6 and slope of 123, Palm Valley's difficulty level is sure to offer a challenge to even the most experienced of golfers. Holes like the 16th, which comes in at a short 229 yards, offer the biggest challenge with an elevated green that plays against the danger of three bunkers and a dreadful drop off. The final hole emphasizes accuracy as a water hazard threatens any with even the slightest curve in their shot. 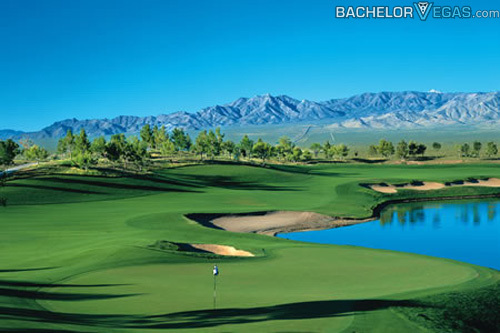 To ease the potential stress brought on by the difficulty of the course, Palm Valley Golf Course Las Vegas is home to a luxurious Country Club. 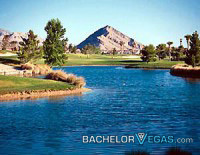 The Vista Grille offers a view of Palm Valley's beautifully structured course. Golfers with little time to spare before their round starts can make use of the "walk-up" dining option, which offers elegant fair on the go. Diners wishing to take a load off between rounds can find a seat in the Vista's dining room. An extensive menu of beverages and fine dining selections make the Vista Grille the perfect compliment to a day on Palm Valley's course. If there's still time to spare after enjoying a bite to eat and a cool, relaxing drink than you can make use of the club's small in-house casino. A small selection of slot and video poker machines compliment an already enjoyable day, and give guests that don't enjoy a round golf (or just in need of a break from the outdoors) something to do. If you wish to participate in a round of golf at Palm Valley, you'll need to adhere to specific dress codes. Men are required to wear crew, collared, or turtleneck shirts with slacks or mid-length shorts. Denim jeans are unacceptable, but can be substituted with dress denim. Women should come dressed in a sleeveless blouse. If you show up unprepared, the nearby Golf Pro Shop will have everything you need to meet the course's standards. After a long hard day of work, the relaxation brought on by a round of golf is unmatched. At Palm Valley Golf Club, you'll be able to take a load off on the fairway and enjoy the rest of your evening amongst exquisite amenities. Played at Palm Valley Golf Course?